We were delighted to hand over a cheque to Elaine from the NI Children's Hospice for £124.50. The money was raised by our Christmas Bauble Design competition and our Movie Day. Thank you to everyone who supported us. 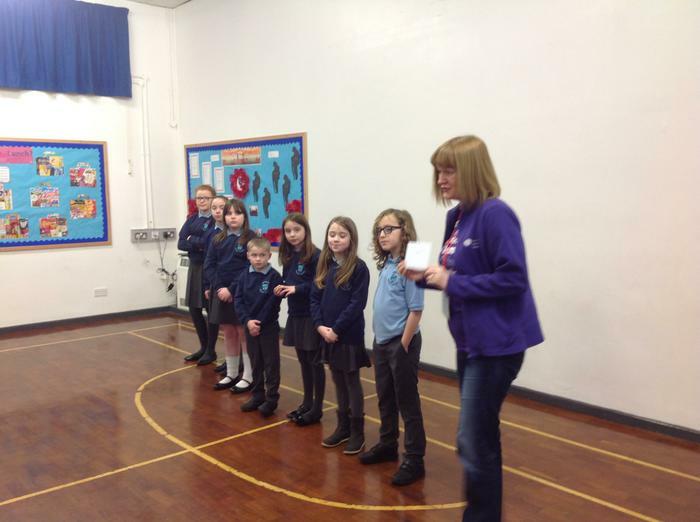 Elaine told the children that our donation would provide four hours of Nursing support to a child. Well done Groggan!